Dubai-based state-run hybrid carrier flydubai is to expand its operations in Kazakhstan, flying to three destinations in the Central Asian country following the re-launch of its Shymkent service at the end of this year, and increasing frequencies to Astana, thus putting more pressure on the country’s own airlines. In an announcement, flydubai says the re-start of flights from Dubai to Shymkent (CIT) in Kazakhstan offers a twice-weekly service from 28 December 2018. The hybrid carrier has been operating to Kazakhstan since 2014 and, together with the re-launched service to Shymkent and existing flights to Almaty and Astana, will now operate 13 weekly flights to three airports in the country. With a population of one million, Shymkent is the third most populous city in the Republic of Kazakhstan, behind Almaty and the capital city of Astana. Shymkent is situated 690 kilometres west of Almaty and only 120 kilometres to the north of Tashkent, the capital of Uzbekistan. Kazakhstan’s national airline Air Astana has recently announced plans to launch FlyArystan, the country’s first own low-cost carrier (LCC) before the summer of 2019, as a response to the increasing challenges from international LCC and hybrid airlines such as flydubai, Air Arabia and Wizz Air. Emirates Airline is to codeshare on this route, as part of the Emirates flydubai partnership announced in July 2017. For bookings under the codeshare, Emirates passengers will receive complimentary meals and the Emirates checked baggage allowance on flights operated by flydubai in business and economy classes. With this partnership, passengers from Kazakhstan will have an opportunity to travel via Dubai to destinations all over the world. 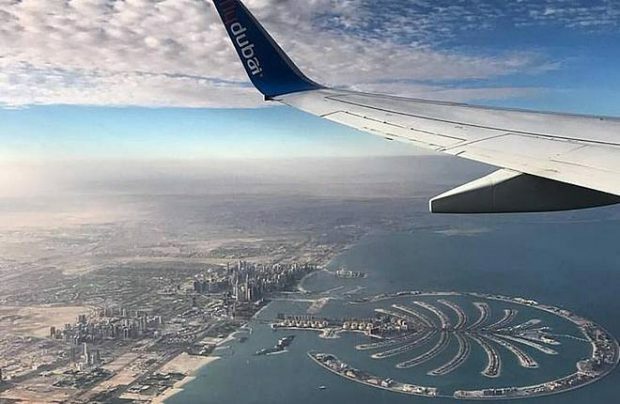 Also starting from the spring of 2019, flydubai is planning to increase its frequencies on its Dubai-Astana route from four to five a week. Launched in 2009, flydubai has since created a network of more than 90 destinations in 48 countries. The airline currently operates a single fleet-type of 62 aircraft including Boeing 737MAX 8s and Boeing 737-800s.